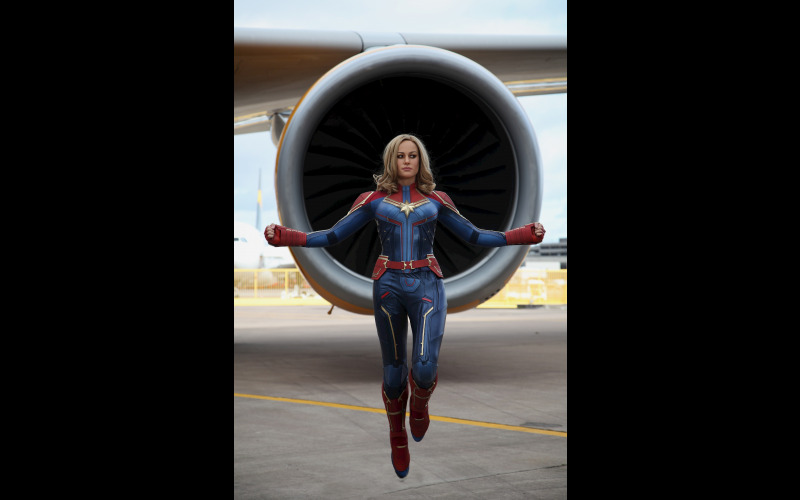 Hot on the heels of the brand new Captain Marvel film, Madame Tussauds Blackpool has unveiled its stunning Captain Marvel wax figure. This fearless hero is known for her superhuman strength, embodying boldness and bravery, making her one of the universe’s most powerful heroes. Captain Marvel joins all your favourite Marvel characters in the interactive MARVEL SUPER HEROES area including Iron Man, Thor, Spiderman, The Hulk and Groot. Come face to face with the Asgardian god of Thunder as you attempt to lift his hammer. Then venture through to gritty New York and test your strength against Hulk by picking up a yellow taxi. Not just for comic fans, Madame Tussauds Blackpool is a great day out for the whole family. Step into the spotlight and get a selfie with your favourite stars (in wax form) as you get up close and personal with the likes of Ariana Grande, Olly Murs and Ant & Dec.
Keep the kids entertained this Easter and enter today for your chance to win tickets to the attraction.